Rosalee Ramer’s average weekend usually involves a round-trip plane ticket and large trucks. The first-year ME typically spends her Thursday nights doing homework on a plane headed out west. Though she took her first semester at Tech in stride, participating in only two shows throughout the semester, Ramer has hit the ground running this semester, with a show nearly every weekend. 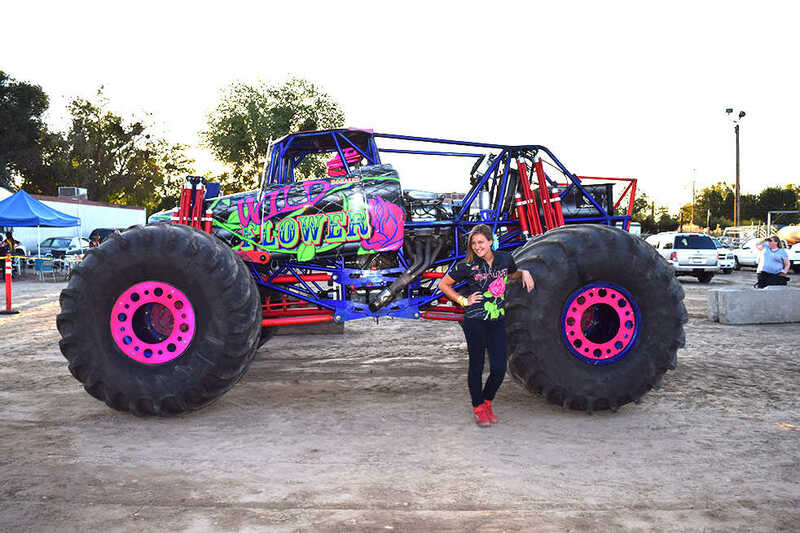 Ramer, who debuted when she was 14, is the youngest professional female monster truck driver. Despite this, she is far from an inconsequential competitor. Ramerhas been involved with the sport since she was born, as her father started to work with teams and on trucks around the time she was born. In essence, she was born into the sport. Ramer has been helping him work with teams and trucks since childhood. She has progressed from racing go-karts when she was five to steering her father’s truck from his lap when she was eight to racing miniature trophy trucks when she was ten to crushing her first car when she was 13 and participating in her first show shortly after turning 14. “I ran with WGAS Motorsport from the time I was 14 to the time I turned 18, and I will still be running with them, from around April to October,” Ramer said.“Now that I am 18, there is another promoter called Monster Jam, who is under the umbrella of Feld Motor Sports Inc. Despite having been a part of the monster-trucking world from a young age, Ramer has always been responsible for her own education. She set up her own independent study herself, with her parents’ blessing, and stayed on top of her education, which is how she got admitted to Tech. Even now, Ramer has a full schedule and still joined clubs in her first semester at Tech, of which she still strives to be an active member. Ramer also makes a point of finding time to spend with the friends she has made at Tech, even if that is just a simple lunch with a couple of friends or doing homework together. While Ramer plans to stick with monster-trucking professionally for now, she is not completely certain what she will do with her degree after graduating from Tech.